Inicio - Vamos Audioblog. Aprende español de forma rápida y efectiva. para mejorar tu comprensión auditiva. ¡Hola! Soy Ana, profesora de español y creadora de contenidos de aprendizaje. Lo sé ... Piensa s que los hispanohablantes hablamos muy rápido y mientras estás intentando descifrar la primera frase que ha dicho la persona a la que escuchas atentamente, ésta no solo continúa hablando sino que además ya ha cambiado de tema. No te desesperes, esta sensación todos la experimentamos cuando estamos aprendiendo un idioma nuevo. Recuerda: practicar, exponerte a la lengua con frecuencia y mostrar una actitud positiva hacia el aprendizaje son elementos clave ¡que marcarán la diferencia! 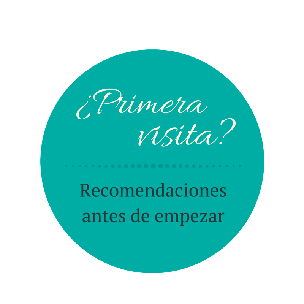 ¿Cada vez que visitas un país de habla hispana piensas que te encantaría ser capaz de conversar con los lugareños, entrar en una tienda a comprar cualquier cosa o simplemente pedir tu cena en un restaurante? ¿Tu pareja o amigos hablan español y crees que sería genial poder comunicarte con ellos en su lengua? A ellos les encantaría y apreciarían tu esfuerzo e interés..
¿Te gustaría examinarte de tu español y desearías prepararte bien para lograr los mejores resultados en tu examen y adquirir un diploma que acredite tu nivel? ¿Saber español se esté convirtiendo en una necesidad a nivel profesional para ti al ser esta una habilidad cada vez más demandada por empresas e instituciones educativas? Simplemente ¡te encanta el español! ¿No tienes una razón concreta y sencillamente quieres aprender español porque te apasiona el idioma, sus sonidos y su forma? ¿Te atraen además la cultura y las costumbres de los países hispanos? Si tu respuesta es SÍ a algunas de estas preguntas estás en el lugar adecuado. En VamosAudioblog estoy segura de que encontrarás respuestas que te guiarán y ayudarán a alcanzar tu objetivo. ¿Estás preparado? ¡Vamos! I was looking for a tutor to help raise the confidence and ability of my daughter regarding the revision and preparation of her GCSE Spanish examination in May/June. I was very lucky to have found Ana. From the start, it was obvious to see the professional manner in her teaching and my daughter immediately felt at ease with her. She tailors the lessons to meet the needs of the student, at their level. My daughter’s grades improved after a very short time and now through working with past test papers, she is achieving A/B grades. Ana is patient, natural and believes in her students, motivating and encouraging them at every opportunity. My daughter’s confidence in her ability has increased and she is very motivated to do well. 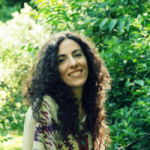 I would unreservedly recommend Ana, not only because she knows her subject well and would be helpful to anyone wishing to learn the language, but her kind and natural way with her students make her a very special tutor. I always wanted to learn Spanish and lessons with Ana are comprehensive and conducted in a very nice atmosphere. Ana is a great and patient tutor and I would recommend her as a teacher to anyone who wants to learn the language. I started lessons with Ana three months ago as complete beginner as I wanted to be able to communicate with my Spanish partner´s family! I think that Ana has been a fantastic teacher and I have made very fast progress. Ana is very patient and the she makes the lessons fun. I feel that the lessons have been a good balance between grammar and speaking and the course follows a very logical structure. I look forward to practicing my Spanish on holiday in Cuba next month and look forward to continuing my lessons with Ana on my return. I would highly recommend Ana! Ana has been my Spanish teacher for over two years, and has taken me from the first steps in intermediate level, to what I think is probably upper intermediaate level (she can confirm!). Our one-to-one classes have been both in person, and via Skype, and I have found both methods work well. Ana is ultra-reliable. If you arrange a session with her, you can be sure it will happen, when you agreed. If there is any problem (this has occurred occasionally due to public transport) she has always let me know in good time. I have really appreciated the way Ana has been responsive to my learning needs. She always has some exercises ready to go, but is happy to respond to what’s going on for me in my Spanish-speaking life (I spend a lot of time in Spain) with practical help with how to express myself. Ana is a very approachable and pleasant person and we have built a good rapport, making the sesssions relaxed and fun. Finally, I have found Ana to be a very supportive teacher. When I have had moments of doubt, where it all seems too difficult (! ), she has been reassuring and encouraging. Ana has been teaching our sons – year 7 and year 9 for two years now and they have both achieved the highest scores at school since then. We contacted Ana as we know how hard it is to learn a foreign language and that the school lessons unfortunately are not enough. We want our sons not only to pass GCSE with A* which we are confident they are on a track to with Ana’s help, but more importantly to be able to speak the language. Ana is incredible tutor, pedagogue and native speaker; we feel very lucky to have her. The boys love the lessons and never complain that they have additional work to do. We highly recommend Ana, we feel that with her help A* GCSE in Spanish is guaranteed. I was interested in learning Spanish because I was moving to Spain for work. Ana helped me get a jump start on the basics in an easy to understand format and also helped with some job specific vocabulary. I definitely benefitted more from the lessons with Ana than any book or Cd! Thanks again! I contacted Ana for an urgent crash course in Spanish before travelling to Cuba. I was amazed at the progress over just five hours, and managed to make myself understood, despite the dense Cuban accent. Ana is very friendly, professional, relaxed and never stuck for ideas. Mission accomplished. I would thoroughly recommend her.